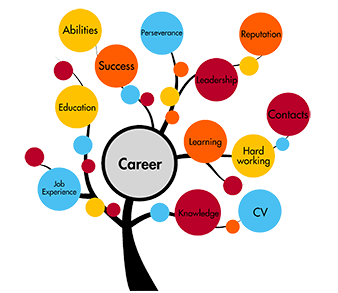 Careers develoment in mobile and website development. Vacancies for the people with out-of-the-box thinking are always open at Mentobile Technology. If you believe that your work can make a difference then bring us your passion, ideas, dedication and commitment. We will give you the resources, the freedom and the right atmosphere to shape them. Responsible for managing back-end services and the interchange of data between the server and the users, focus will be the development of all server-side logic, definition and maintenance of the central database, and ensuring high performance and responsiveness to requests from the front-end. Experience in PHP & MySQL and various open source framework. Candidate having knowledge of OOPS concept. Having knowledge of mobile apps web services. Should be able to work independently on the assigned tasks. Should be able to deliver tasks in allocated time. Should be flexible to do various tasks like application testing, product documentation if and when required. Proficiency in Objective C (preferred), C++, C, Coding skills in Objective C, Cocoa, iOS SDK, Xcode. 1.6+ yrs of software development experience in C++ for mobile applications on IOS platform. Should have excellent written and spoken communication skills. Good knowledge of on page optimization. Good knowledge of Google Analytics and webmaster tool. Candidate should have experience of writing contents, blogs, and articles. 2 or more years of organic search experience, including one year in the role of leading projects and team of 2 to 4 team members. Excellent knowledge of both on page and off page optimization techniques. Proficient use of Google analytics including goals and conversion tracking. Content creation – For Blogging, forums and articles. Proficient use of Google webmaster tools. Blog creation and posting and submission in social sites. Submission in Search Engine & Directories, News Submission, E‐book Submission, RSS Submission, Submission on Classified sites, Tracking and maintaining Keyword ranking report, Page Exchange. Should have experience of designing UI for Mobile domain (iPhone/Android /Blackberry/Java EE) and also web applications and web sites. Candidate should be expert on story boarding. Using innovation to redefine a design brief and meet the constraints of cost, time and client. Multi-tasking on more than one design brief at a time. Producing accurate and high quality work with minimum iterations for changes. Keeping abreast of developments in IT in respective domain, particularly design programs. Working well in a team, with developers and marketing specialists. Responsible for generating cold and hot leads, in the US/UK, EMEA. To proactively generate leads and use consultative approach to qualify new business predominantly through tele marketing / email campaigns. Attain fixed sales quota in terms of number of qualified leads/appointments/meetings. Establish contacts with the "C" Level Executives. Introduce company services to new prospects/clients through networking, cold calls, referrals, presentations & sales and e-mail campaigns. Responsible for creating new opportunities consistently & meeting opportunity goals. Developing, maintaining and maturing sales pipeline by rigorously driving the lead cycle. Must have cold calling experience to countries like US/UK and Europe. Min. 1.5 years of experience in lead generation in IT services in the said markets is mandatory. Should be able to research companies and come out with value proposition for each. Experience of working in a B2B environment is required. Must have strong sales process knowledge, effective pipeline management techniques. Demonstrated & verifiable track record of achieving or exceeding lead generation quota in previous organizations. Excellent presentation and communications skills targeted to "C" levels.